A guerilla-theater, community outreach project, Thirsty Theater brings new 10-minute plays into area restaurants and businesses in order to bring theater into the lives of our community members. *Dinner reservations required, recommended for 6 PM or earlier. Elisabeth Gordon once again brings her keen eye to local politics with this delightful sequel to Thirsty Theater’s 2016 reading of The Dogwalker. We return to an unnamed Vermont Town for a peek into local dynamics and neighborhood relationships via the Town’s List-serv. Elisabeth Gordon is the Art Program Manager at Boston Children’s Hospital. On nights and weekends, her superhero form emerges as she writes ten-minute plays based on real-life events that make her laugh (or cry). Elisabeth has had two of her Ten-Minute plays produced in prior Thirsty Theaters: Dogwalker in 2016 and Airport Lounge in 2017. She loves how little plays can say big things! CELEBRATE 5 YEARS AT THYME! The Best French Fries in the Upper Valley Article by Tom Haushalter. Click on Thyme Fries for a link to the article. 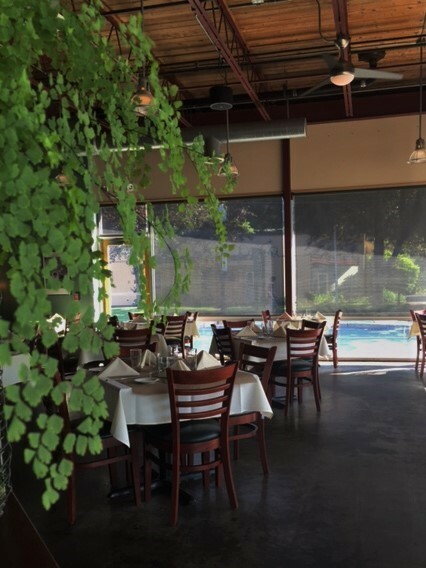 "14 OF THE UPPER VALLEY'S TASTIEST DISHES"
SUMMER 2018 - THE PATIO IS OPEN! We have chosen these specials to pair with the wines and will have them for the entire week. The wine will be available by the glass or bottle for anyone that would like to try them at lunch or dinner. Our regular menu and wine list will also be available.